For those of you in the northern hemisphere a summer treat to look forward to, and to those here in the southern hemisphere the perfect dessert for a hot summer's day. I will be out there enjoying it very soon. For Christmas Santa was kind enough to give me an ice cream maker, I must have been a good girl! I have found nothing more frustrating than to come across a delicious ice cream recipe only to read the recipe to find "place in ice cream maker and follow the manufacturer's instructions". No more will these words haunt me and I foresee a freezer full of ice cream for 2011! At first glance this may not appear to fit in to my kick start to 2011, but I think it does as we all need a little treat even if we are trying to be terribly good and lose those festive kilos. Besides I was dying to try out the new toy. 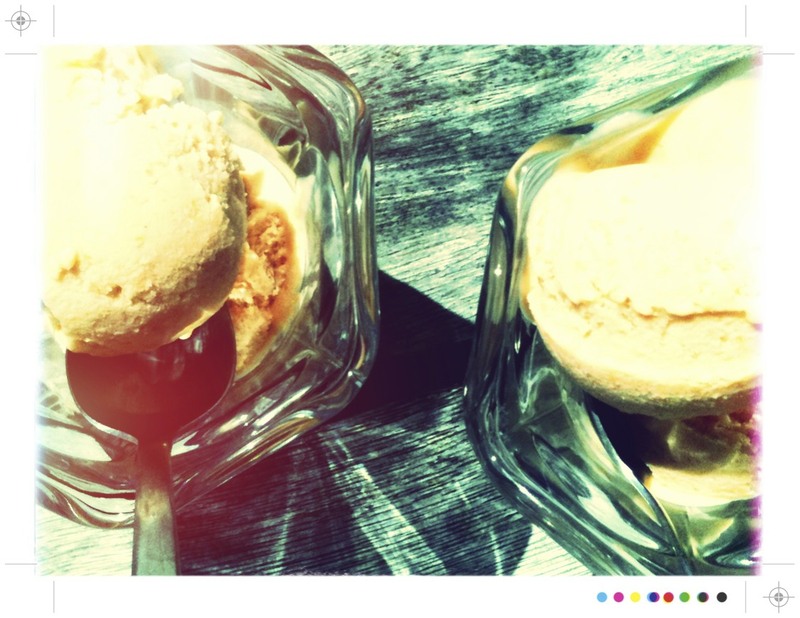 The big decision was what would be my first ice cream as there are so many out there. Strawberry was close or the kiwi classic hokey pokey and I have a recipe for fennel ice cream that I really want to make. Plus there is a salted caramel recipe too, which if it is even a smidgen as good as Logan Brown's it will be delectable and potentially a little more than a wee treat, so we will avoid that one for now while on our burst of healthy living. What won out was one from Nigella's Forever Summer, one of my perennial favourite cook books, especially through the summer months, and as chance would have it a grand selection of ice creams - apple, raspberry ripple, gooseberry and elderflower, even a cheesecake ice cream. 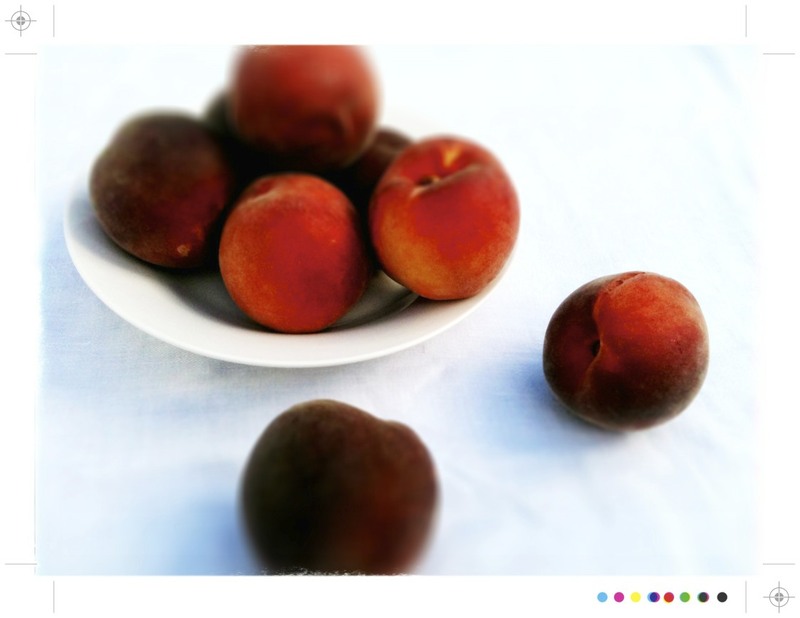 The winner was peach ice cream as we are in stone fruit season here in NZ at the moment and it all sounded so delightfully summery. I also took Nigella's advice and roasted the peaches to really intensify the peachiness of the ice cream. You can make it without an ice cream maker but that involves 3 hourly trips back and forward from the freezer while it freezes to make sure all crystals are obliterated with a good beating, and then you will get a smooth ice cream many hours later. However if you have an ice cream maker....20-30 minutes in the machine, another half an hour in the freezer and you have a luscious, velvety smooth ice cream. I know which option I prefer. With folks round for a BBQ this weekend the batch of peach ice cream in the freezer will be the perfect dessert, well I think perfect with a little addition. I was thinking of what could just give it that little something extra...maybe a few slices of fresh peach, or even a few slices of roasted peach, a few fresh strawberries or fresh raspberries which are just so good right now? The raspberries got me thinking of that old classic peach melba. It was invented in 1892 or 1893 by the French chef Auguste Escoffier at the Savoy Hotel in London to honour the Australian soprano, Dame Nellie Melba. In a nutshell peaches with raspberry sauce and vanilla ice cream. 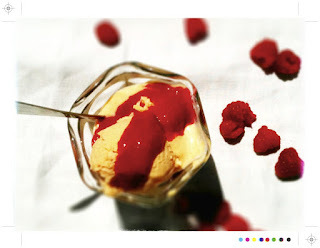 So a classic combination and got me to thinking that a simple raspberry sauce drizzled over my roasted peach ice cream really would be the perfect dessert for a weekend BBQ. 1-3 tsp icing sugar/powdered sugar - basically sugar to taste, just add a teaspoon at a time until sweet enough for you. Preheat oven to 210C (410F). Halve the peaches, remove the stones and sit them in a roasting tray cut side up. Sprinkle half the sugar in to the cavities and squeeze over the lime juice. Roast for 30-40 minutes until softened and roasted. 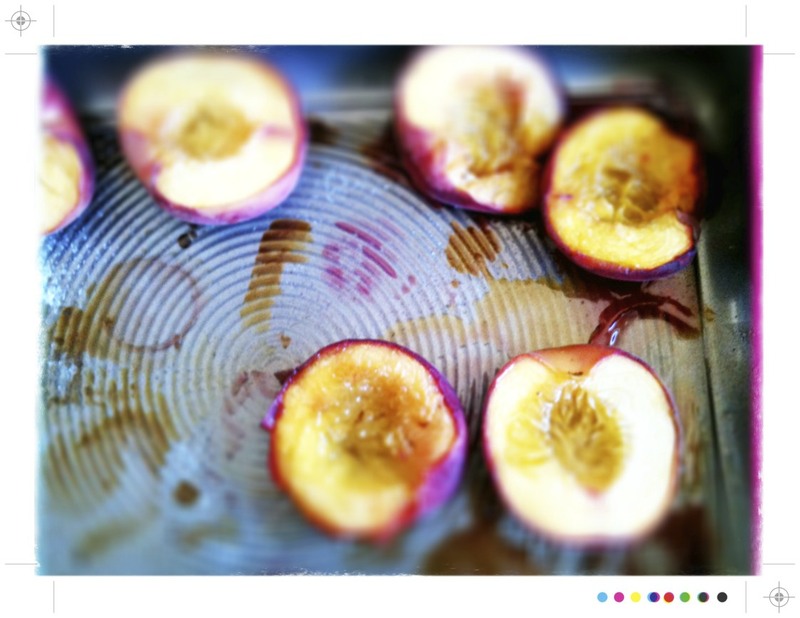 Remove the peaches from the oven and leave them to cool before taking off the skins and placing them in to a food processor. 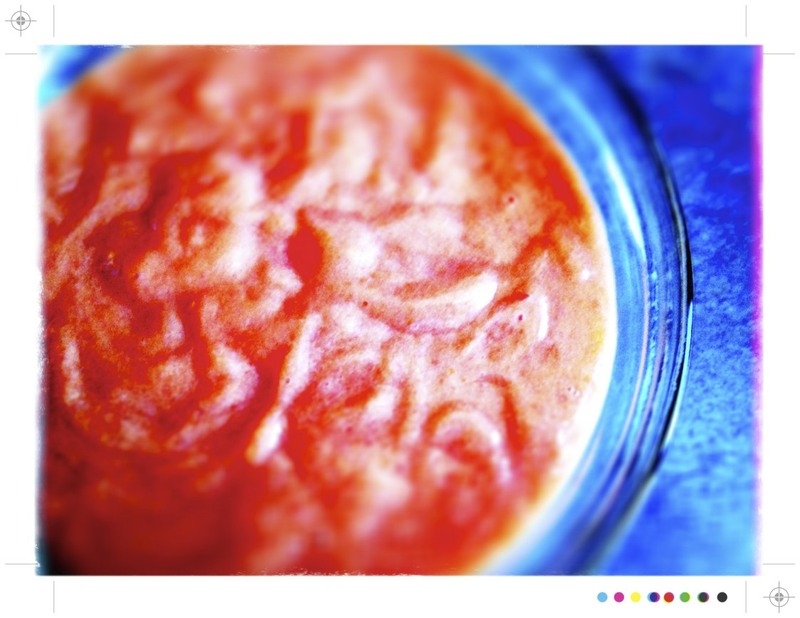 Blitz to a puree. I pushed through a sieve just to remove any stray little bits of skin. Let the peach puree cool completely. Heat 300ml of cream in a pan, beat the yolks and the remaining sugar in a bowl. 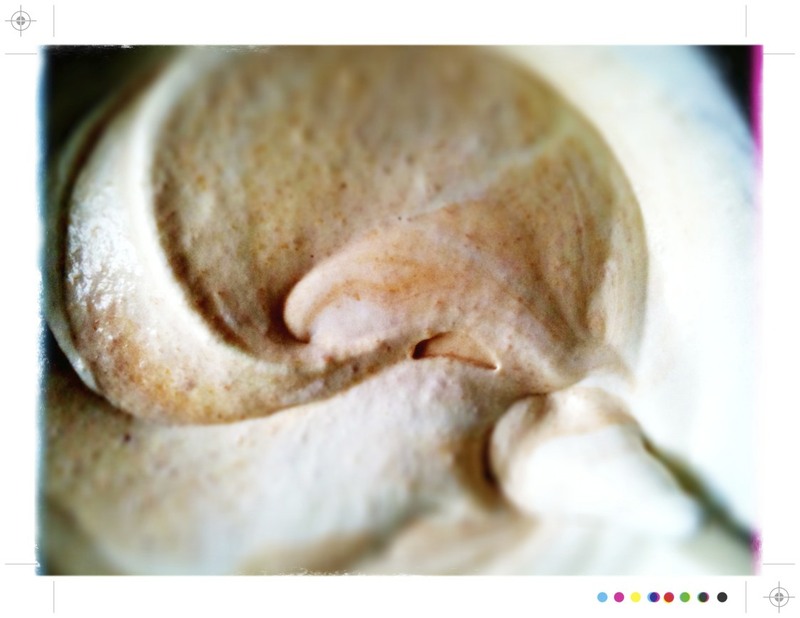 Keep whisking and pour over the warmed cream. 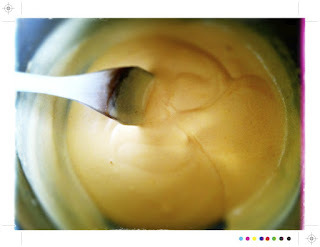 Keep cooking at a low heat, stirring all the time, until you have a smooth custard. A tip from Nigella is to keep a sink full of cold water while making the custard. Then if it does start to split at all just plunge the pot in to the sink of cold water and whisk like there's no tomorrow. 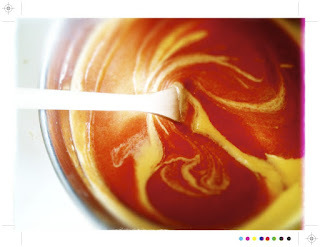 The custard won't take more than 10 minutes to cook, possible even a few minutes less. 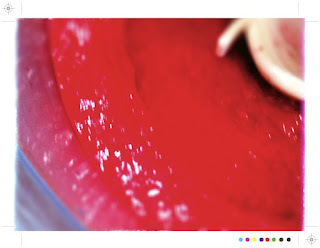 For the raspberry sauce just place the raspberries in a food processor and whizz until you have a smooth puree. You could sieve if you want a super smooth puree. 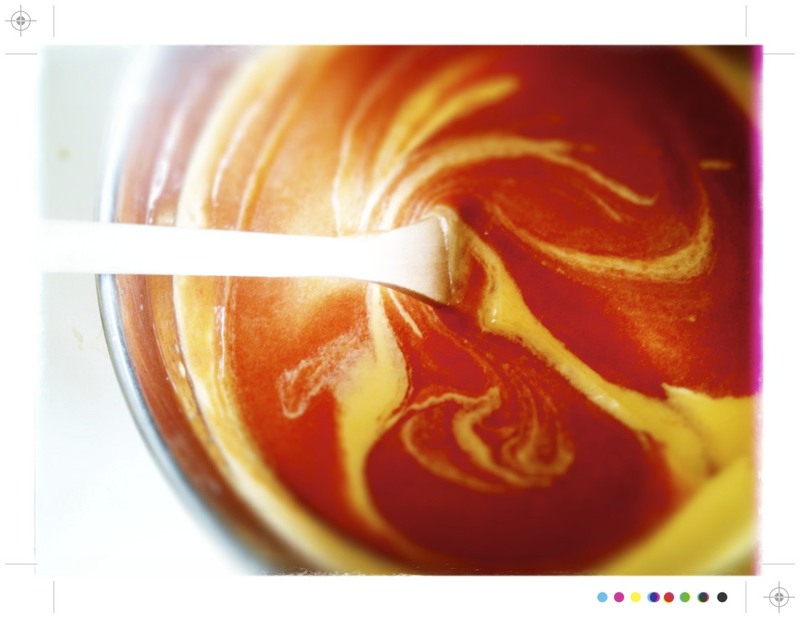 Add 1 teaspoon of sugar at a time and whizz again. Just repeat until you have it as sweet as you would like, though I would recommend not too much to let the raspberry flavour really shine through. 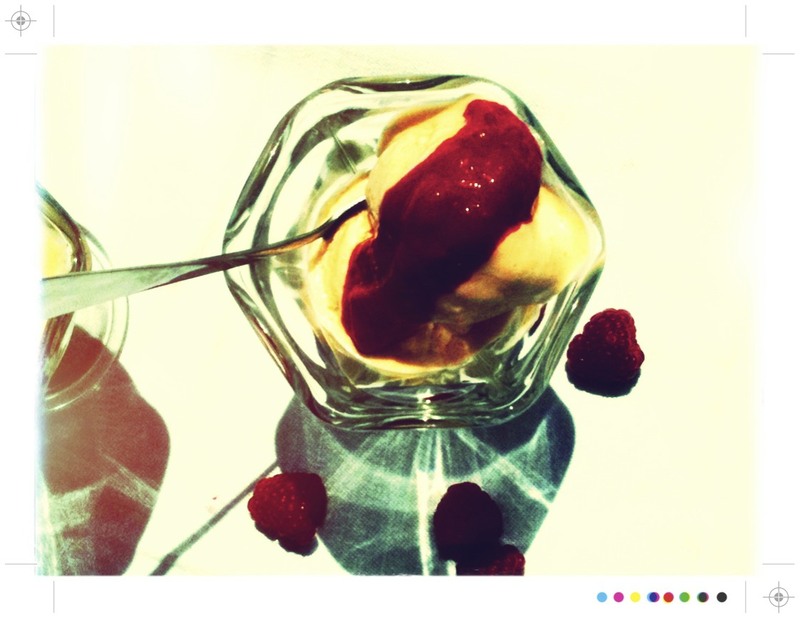 To serve scoop out a good dollop of the ice cream and drizzle with little of the raspberry sauce. The ice cream was beautifully creamy and full of peachiness which was offset perfectly by my, not too sweet, raspberry sauce. 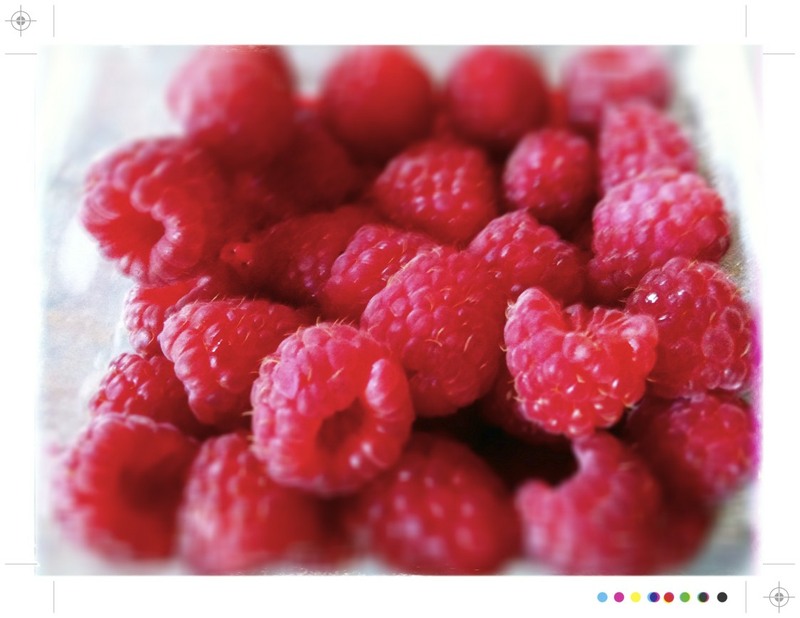 Just perfect on a hot summers day and the perfect fruity little treat. now you have me wanting to make peach melba cake! 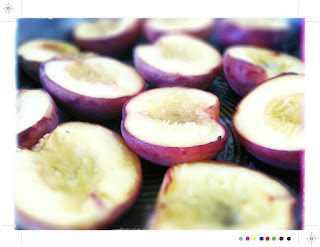 @ atouchofthecrazy...peach melba cake sounds wonderful! @ Mrs Cake...yes most definitely have to have treats! 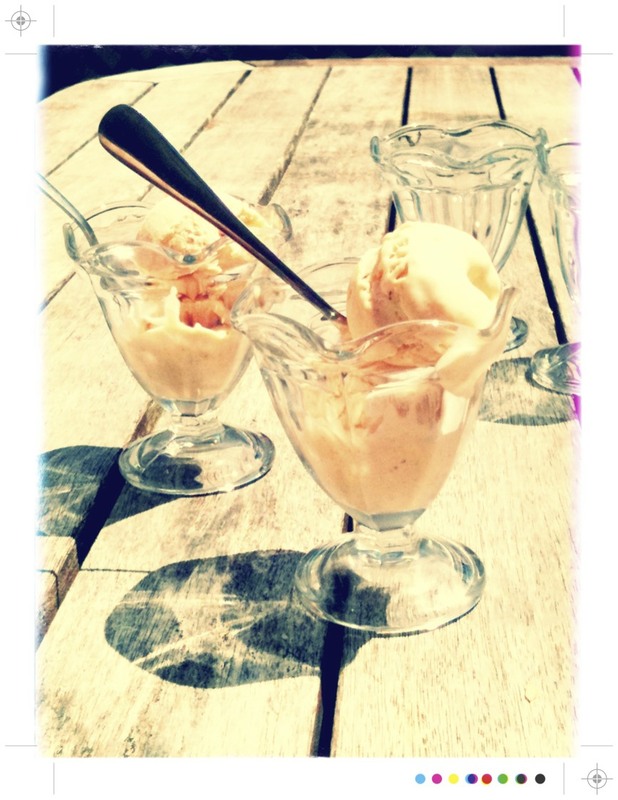 @hungryandfrozen...such a good ice cream chapter but think I may have to venture further afield and try some fennel ice cream - it is meant to be amazing. You have inspired me to dig out my ice cream maker, I can't believe I haven't made any this year even with all this beautiful weather. I think it could be my new obsession, along with all the bread making! Have a fennel ice cream recipe I am dying to try out!